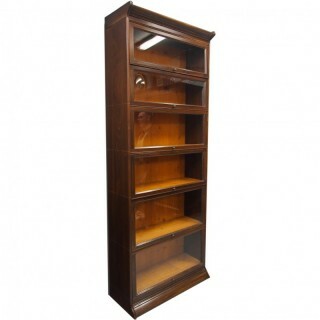 Circa 1930, tall mahogany, six door bookcase. Surmounted by a separate moulded cornice, the 6 bookcase sections with upward opening doors have original brass knobs. Supported on a separate shaped base, it has a bookshelf depth of 26 cm.